Hello everyone! I just thought that I’d give you a quick update. 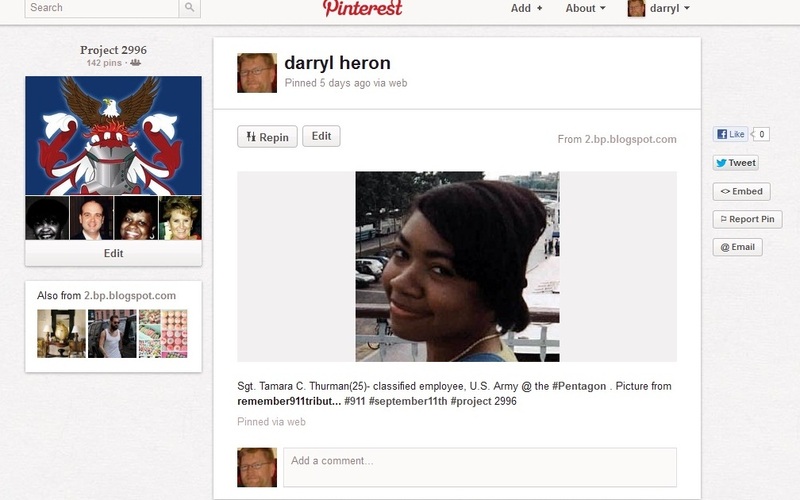 Above is a screencapture of part of the Pinterest Group Board. 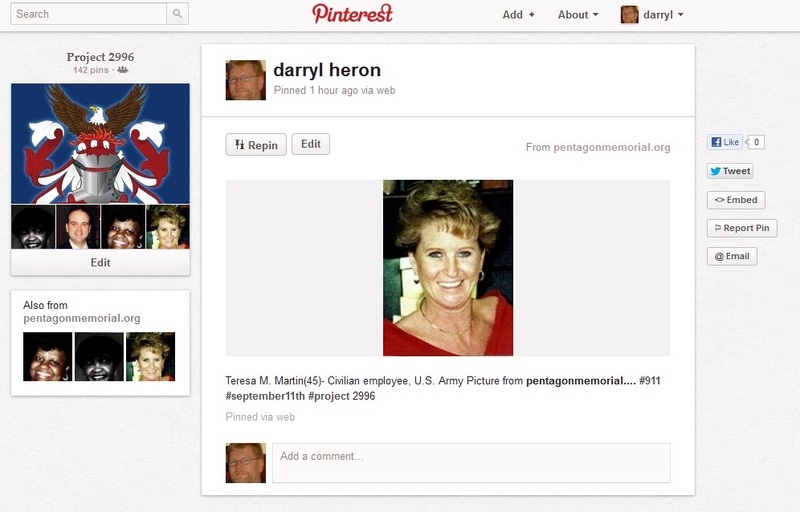 Dale has created ‘pins’ for all of the people he did tributes for, I’ve pinned all of the people that I did tributes for and then I’ve made a pass through the victims at the Pentagon and am about to start with the victims of the different flights. Does anyone want to create some pins for any of World Trade Center victims or any of the victims of any of the flights? Let us know your Pinterest user name and we’ll invite you to the group board. Below you can see a couple of recent pins. We have a few members in the group board but it would be great to hit a significant number like 100 or even if everyone that has liked us on Facebook. You can ‘Repin’ pins that are already in the board into boards of your own as well as liking and commenting on them too. Be sure to check out the group board on Pinterest. Don’t forget that we still need more than 1200 tributes. This entry was posted in Progress, Project 2996 Pinterest Board and tagged #Pinterest.